This question troubles many of us. We may live far from where we grew up, away from those we love or in a culture not our own. But we all need somewhere to belong, to find a sense of home in this world. Jo Swinney was born in the UK, but grew up in Portugal and France. 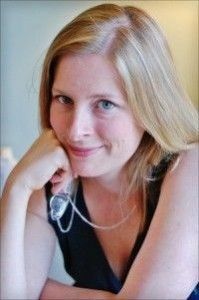 She went to an English boarding school, did a gap year in southern Africa and in her twenties studied theology in Canada, where she met her American husband. Now back in the UK, she's had more reason than most to wonder what 'home' really means. Is home where you come from - where you live now - where the people you love are - or what? 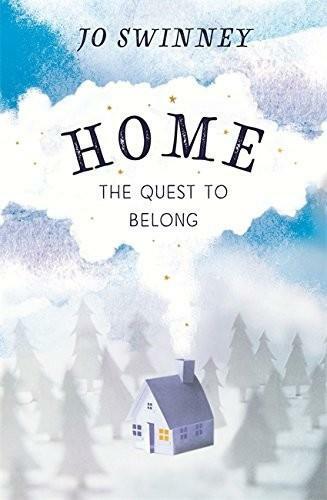 Interweaving a frank and poignant retelling of her own story with theological and psychological insights, Jo's original and authentic exploration of home in all its many and varied forms is a heartfelt call to find our home in the things that are truly of most value. Jo Swinney is a new name to me, but this is her third book, she has also written "God Hunting" and "Through The Dark Woods", but this book sounds a little different. Simply called "Home - The Quest To Belong". This is not a tie-in with the Dreamworks animation but instead looks at our yearning for somewhere to call home, even for those who don't actually base themselves in something permanent and solid. Part of this book is relating the author's own experiences finding what makes 'home' for her. From what she explains here, she is quite qualified to expand on the understanding of home. For some of us home is just the place we find ourselves living, we've lived with parents, maybe had some college experiences, travelled but settled in to the work / home life that we currently enjoy. For Jo it was a little different, born in England, but moving to Portugal early in life, moving around through a few homes before her parents settled somewhere, but due to the nature of their job there was a constant community of people coming and going through the property. Then being sent back to boarding school in England, before going to university and then moving to Canada, via a gap-year in Zimbabwe. Then moving back to England with her new husband and moving into houses tied to his job role. It sounds exhausting just talking about it! In amongst all that transience Jo lost her sense of what home was, before rediscovering it. Through this she has realised that it's not just the homeless that don't really know where home is. At the beginning of the book Jo seems a little bit apologetic that she is going to look at this subject, not just from her own experience, but also from a Christian perspective. Having said that she explains that it is the worldview she holds so it makes sense to write from that. She explains that although the ultimate 'home' maybe in a relationship with God, she is not necessarily expecting her readers to agree with her, but it makes up part of how she sees the world. Although I think that this book probably will mainly circulate within the Christian market, people from outside the culture may read it, and this may disarm some of the negative arguments and defences that someone might put up against reading it. As well as her own story Jo also chooses to look at the quest to belong in the Bible through one of the most well-known characters - David the Shepherd, Giant Killer, Refugee and King. As Jo relates his story in relation to her subject she brings new life to this story, and she definitely doesn't gloss over his mistakes and pitfalls, but reminds us that David was very human in his thoughts and attitudes. She relates his story in a very clear and, at times, amusing fashion, outlining the various parts of the story which relate to that particular chapters theme. Needless to say she struggles to say much positive about David when looking at home in relation to marriage, but instead uses his bad example and restlessness to hold up a mirror to our own relationships. So each chapter looks at a different aspect of what people call home. The feeling that somewhere else is home, through to home in family, culture, country, community and many other things before getting to home in things that are closer to home, your actual property, your job and your past. With a gentle humour the author relates the aspects from her life, from her friends and others into gently nudging the reader into considering what aspects of life would make them feel home, it's not just any one thing, at least not in this life, there is a little discussion about the idea of Heaven as our home, but she rejects the notion that we cannot feel at home here on earth. In the back of this book there is a series of 10 questions to get you thinking further about the notion of home if you have a book group or study group that chooses to read this together. I have quite enjoyed this trek through the idea of home, it's not a question that I have really thought about until now. Although having shaken up my 'home' life somewhat this year it's perhaps become more important to consider this idea. What makes home, home? This book may well be able to give you the gentle guidance that you need to begin to feel at home in yourself and your circumstances - or to know what to head towards so that you feel truly at home.